For years we've had one financial crisis after another sweeping through the global economy. 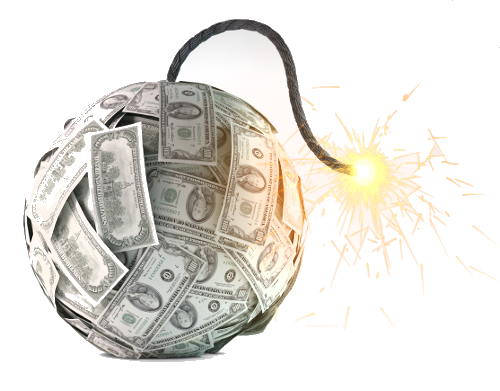 Central banks seem to have lost control, keeping their zero interest-rate policies intact in a world awashed in so much debt it can never be paid off. Eroding currencies and unprecedented global financial instability are just two of the by-products. It's hard to find a safe haven in today's world with traditional investments offering extremely low yields while inflated stock markets keep hitting all-time highs. So how do keep your hard earned money safe in a time of so much uncertainty? The answer's quite simple really: two precious metals that have stood the test of time with a 5000 year history. It's not just the solid track record of its usage as money and keeping its value over millenia that makes gold such an amazing insurance against financial calamity. To this day, central banks hold a lot of gold on their balance sheets and as of a few years ago they have even become net buyers of gold for the first time in over 30 years. Silver is called gold's "little brother" for good reason. 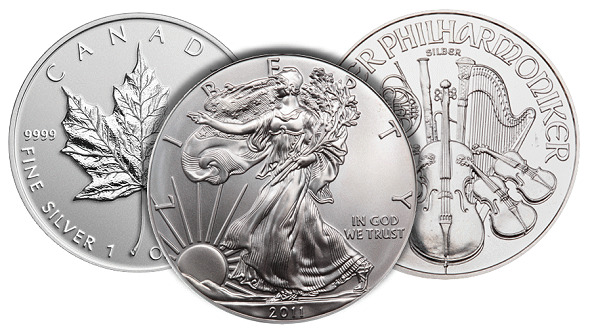 Just like gold, silver has been used as money in every part of the world at one time or another. In French, Spanish and multiple other languages the word for silver and money are identical. That should tell you something about the historical importance of silver as a monetary metal. Also as gold has gotten more expensive over the past decade or so, some have turned to silver as a cheaper substitute. The white metal has another aspect to it that makes it quite interesting from an investment perspective, even for the investor who is looking at the world through a positive lense. It is the best known conductor of electricity and therefore used in most new high-tech appliances, be it smartphones, TVs, solar panels or computers. This makes silver one of the most important industrial metals, and as technology evolves at a rapid rate the demand will just continue to grow. Despite the stock market being overvalued in general, there is one sector that is unusually cheap at the moment. The stocks of miners exploring for and ultimately producing gold and silver are on average more than 70% off their highs, while also being very undervalued compared to the price of the precious metals themselves. The whole sector has been performing very poorly since gold and silver started their downhill rides in 2011. Higher production costs have also crippled the industry, but the recent collapse in oil prices should reverse that trend and make way for lower cash costs going forward. These stocks tend to do extremely well and severely outperform gold and silver during bull markets, and with both precious metals looking ready to once again march higher we might see the perfect opportunity for investors to pick up cheap stocks. There are a lot of miners to choose from, so which ones will shoot higher and which ones should you stay away from? As with everything else, you are far better off making informed decisions rather than guessing, and that is exactly what Mining Stock Valuator helps you do. There's no bias and no assumptions, just pure facts polished and translated into easily digestable metrics and ratings. MSV covers hundreds of the most common stocks in the sector and provides you with all the information you need to know about your potential investments. Nowhere else will you find this much fresh data in one single place. Join us and get the upper hand! There's no need to wait. Give it a try today - it's 100% free.